It has been quite a season for Intelligence so far. Jay Halstead lost his father. Antonio Dawson battled a pill addiction. Oh, and Hailey Upton and Adam Ruzek hooked up. As recently as this season's premiere, Upton and Ruzek were butting heads. Then came Chicago PD Season 6 Episode 3, which opened with the two of them together in bed. Ruzek deemed their rendezvous fun. Upton was more conflicted but came around. Fan reaction to this latest ship has been mixed for a variety of reasons. Some think Chicago PD doesn't need to be bogged down with romance storylines. Others would prefer it if the protagonists dated people other than their colleagues. Then there are who are unhappy because Upton/Ruzek sinks their preferred ships. Ruzek's marriage proposal in Chicago PD Season 2. Unfortunately, halfway into Chicago PD Season 3, Burgess realized Ruzek wasn't fully ready to commit to her and broke off their engagement. Dealing with the aftermath wasn't easy for either of them. After some time apart they learned to be friends again. Of course, these two couldn't stay too far apart from one another and were romantically on-and-off throughout Chicago PD Season 4 and Chicago PD Season 5. Ultimately, even though they loved each other, they decided they were better off as friends. Meanwhile, Detective Upton joined Intelligence in Season 4. As a later addition to the cast, she was always going to be a polarizing character. It takes time to warm up to new characters, especially we've learned she's compassionate, dedicated and has become a vital member of the squad. Partnered with Halstead, the two formed a very deep relationship, which has so far remained platonic. 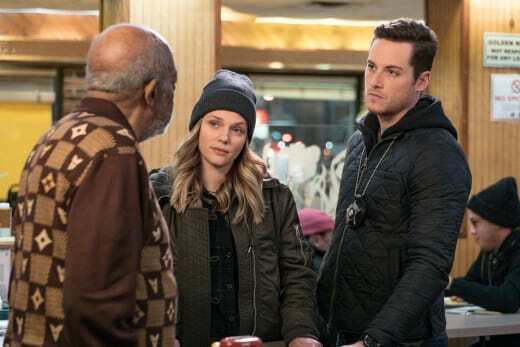 However, especially after Lindsay's departure to New York, there are some who wouldn't mind if Upton and Halstead became partners in a different way. There's no doubt these two care about each other a lot, so the possibility of there being something more between isn't entirely out of the realm. together. Does this mean Burgess/Ruzek is dead for good and Upton/Halstead will never be? Not necessarily, because the only thing harder to permanently kill off on a television show than a superhero is a ship. Name a TV couple; chances are they've broken up and gotten back together repeatedly. Sometimes characters go through several relationships before they find the one. Usually, it takes a character leaving the show to render a 'ship truly impossible. Where does this leave us with Upton/Ruzek? Are we just waiting for them to break up? Even Upton wasn't sure what to make of them at first. The plan was to keep things casual, fun. Of course, things don't stay fun and uncomplicated for very long in the OneChicago-verse. All too often cases get personal for Intelligence. 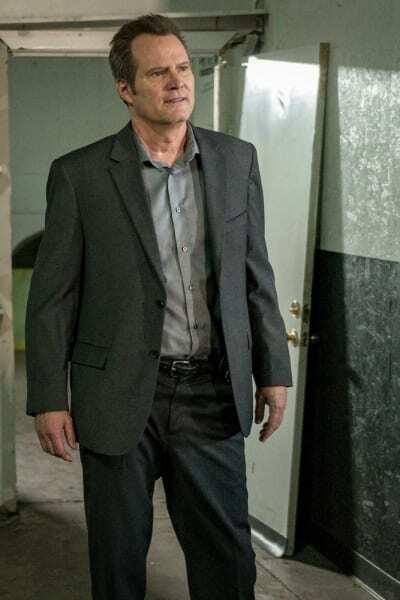 While investigating a drug lord, Ruzek and Upton discovered Ruzek's dad was in the drug lord's employ. It did cause tension between the two and not just because meeting your fling's father for the first time is awkward (even when you're not posing as a drugged up party girl). The situation did not blow up into a full-fledged fight, and when things really got ugly, Upton was right there for Ruzek when he needed someone the most. 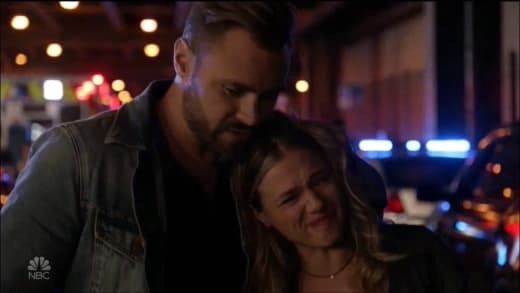 And in turn, he was there for her when the case of the week on Chicago PD Season 6 Episode 6 brought up Upton's painful memories about her family. Throughout the episode, Ruzek checked in on her, didn't get jealous when she needed talk things out with Halstead, and was the person she could lean on when she was finally ready to talk. It those moments -- the emotional support and the acceptance of it when he or she is that their lowest point -- that makes Upton/Ruzek something much more special than it would initially seem. How many tv couples have we seen lash out at one another when someone's personal demons get them way in over their head? When it happens, it usually leads to a breakup. For Upton and Ruzek, those times of adversity make them realize they can depend on each other. Things between Upton and Ruzek are moving fast. Even though they've only been together for a few episodes, they're already too emotionally intertwined to treat this as a throwaway romance. Are they endgame -- who knows? I do know I like seeing a couple who don't automatically push each other away when things get rough. If you're not sure what you like best, you can watch Chicago PD online to figure it out. Then weigh in below with your thoughts on the love lives of Upton and Ruzek! Becca Newton is a staff writer for TV Fanatic.